MSc Social Policy and Development Alumnus, Aishu Balaji, explains why the return of Indian migrants back to their motherland is not having the development impact initially intended. In a 2015 address to Indian migrants in California, Prime Minister Narendra Modi declared, “India is waiting for you”, suggesting they must seize the “opportunity to serve Mother India … whenever the opportunity comes”. This encapsulates a broader agenda identified by Elaine Ho: the promotion of return migration by migrant-sending states as a means to “mobilize human capital and international business links [to] help enhance national economic competitiveness in the global knowledge-based economy”. A significant number of Indians have returned since the government began adopting facilitative and incentivising policies in the 1990s. But to critically evaluate their impact against Modi’s rhetoric, we must ask who constitutes the diaspora that India is waiting for, and what constitutes the development they are being harnessed to promote. The state has harnessed returnees as a tool of India’s development project, characterised in the contemporary period by economic liberalisation. In this context, poverty has been defined in terms of tangible outcomes like income, employment, and GDP, with limited investment in social services. Development interventions have therefore aimed to increase access to global and domestic markets to stimulate economic growth. Easing restrictions on the flow of foreign currency through the Foreign Exchange Management Act(2000) so returnees can set up businesses in India. Bilateral agreements with 88 countries to prevent the double taxation of migrants moving between multiple locations. 100% tax reductions for Indian migrants who export from designated Special Economic Zones to incentivise the growth of exports. Easily recognising and highly valuing foreign qualifications in certain industries, such as IT. India’s IT industry, which contributes “7.5% to gross domestic product and directly employs over 2.8 million people”, is a success story of elite return migration. A 2002 survey of Indian origin IT workers in Silicon Valley found strong transnational linkages, with 52% engaged in business relations in India and 45% stating permanent relocation is likely. 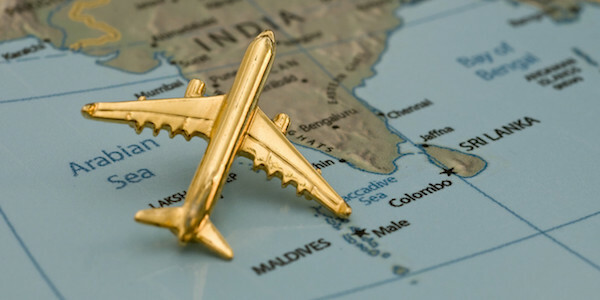 Transnational connections have been integral to the industry’s success, with migrants and returnees leveraging their reputational capital and business connections to establish subsidiaries and joint ventures, and act as “cultural interpreters” between US firms and Indian labour. However, where the state has worked to build the capacity of the IT sector to stimulate economic growth, it has failed to create a permissive environment for returnees in non-tradable services like medicine. This is despite endemically low capacity, with India having only 4 doctors for every 10,000 people in contrast with America’s 27. Medicine is characterised by fewer opportunities and more bureaucracy. A key exampleis that foreign speciality training is not recognised locally without undergoing an extensive certification process. Migrant doctors are, as such, significantly less likely to return to India than IT professionals. This contrast reflects the limited scope of the Indian development project. By prioritising economic growth, the state has failed to incentivise and facilitate elite return to social service sectors, which are seen to have an indirect impact on the economy. Instead, the rapid growth of the IT industry is expected to trickle down. But in the absence of investment and capacity building, this has largely failed to materialise, with India experiencing persistently low levels of human development despite high rates of economic growth over the past two decades. Travel to India, Map is Copyright Free Off a Government Website – nationalatlas.gov. By focusing on economic growth, the state-led development project has obscured the impact of structural inequality on underdevelopment in India. Indian society is deeply fragmented on the basis of caste, religion, and the urban-rural divide. Since Independence, the political and economic system has been largely dominated by a coalition of middle and upper-caste Hindu elites. Their power is, as such, contingent on the continued marginalisation of lower castes and religious minorities. Lacking any substantive redistribution of power, the state-led development project works to depoliticise inequality. Largely comprising of the social, political, and economic elite, returnees are deeply implicated in these unequal power relations. An albeit limited 2008 survey found 79% of returnees to be Hindu. Studies of prominent industries like the IT sector have found exported workers and returnees to be disproportionately upper-caste and upper-class. The elite constitution of returnees has three key causes. First, the available pool, with contemporary migrants tending to be highly educated, high income, urban, upper-caste Hindus. Second, self-selection, as the economic elite are best placed to monopolise on policies facilitating the free movement of capital. Because of persistent structural inequalities, they are also more likely to constitute the social and political elite. And third, the policies themselves were designed to target specific groups for return. The OCI program, for example, explicitly excludesdescendants of Muslim Indians displaced during the partition. Elite returnees have channelled their power and resources to benefit members of their own communities, further marginalising groups outside these privileged networks, exacerbating caste, class, and urban-rural divides. An example is ‘The Indus Entrepreneurs’, an organisation of Indian-origin IT workers in Silicon Valley who regularly fundraise for India’s elite tech universities. Their funds have promoted ‘merit-based’ policies that undermine affirmative action programs for lower castes. Another example is the business links of IT returnees being overwhelmingly concentrated in five urban centres, exacerbating the urban-rural divide. This works to consolidate privilege over generations, with the ability to migrate being contingent on belonging to urban, upper-caste, and upper-class networks, and the economic benefits of return then being channelled back into these networks. This exclusion has also manifested in the physical and social infrastructure of urban centres. For example, Pablo Bose shows how Kolkata is being reconstructed through luxury residential developments that cater to ‘global Indians’ engaged in cycles of temporary return. These developments have reshaped the urban landscape, encroaching on public recreational spaces to construct exclusionary luxury facilities, “overwhelm[ing] local desires and needs”. Returnees also increase demand for private medical care and education, which widens the divide between public and private infrastructure. For example, as investment in the urban private health sector increases, resources shift away from already depleted rural public clinics and issues that pose the biggest burden for the local population, like infectious diseases. As the infrastructure associated with returnees takes on an aspirational quality, the local upper-middle class are increasingly consuming products associated with them to “emulate … these mythologised migrant lifestyles”. The result is growing urban inequality, with elite returnees and the aspirational Indian middle class driving demand for private services and spaces that exclude already marginalised groups. Contrary to the rhetoric of policy makers, return migration to India has had a complicated impact on development. Bound by the limited scope of the state-led development project, and endogenous to the unequal power relations that structure Indian society, returnees have promoted uneven growth and exacerbated existing fractures. In its current state, return is tied to the assumption that development is an economic and technocratic process, an assumption that must be deconstructed to pursue more inclusive alternatives to the Indian development project. This article was originally published on the LSE International Development blog and can be viewed here. Aishwarrya Balaji is a recent graduate from the MSc Social Policy and Development: NGOs programme. She is a research consultant for Australian NGOs in the disability services sector, and she has a strong interest in migration and civil society. The data provided doesn’t add up or validate the conclusion. It seems like author had a conclusion in mind and then cherry picked data. example, 79% returnees are hindus, sure but so the demographic population spread? anomaly would be had only 10% returnees were hindus for instance. Similarly, exported & returnees are primarily upper caste? sure, obviously because merit is under appreciated in India. So meritorious folks would find greener pastures. Essentially, returnees and also expatriate contribution to development of India wouldn’t be possible until bureaucracy is busted and merit is valued.